Chances are, you use your kitchen cabinets every day. 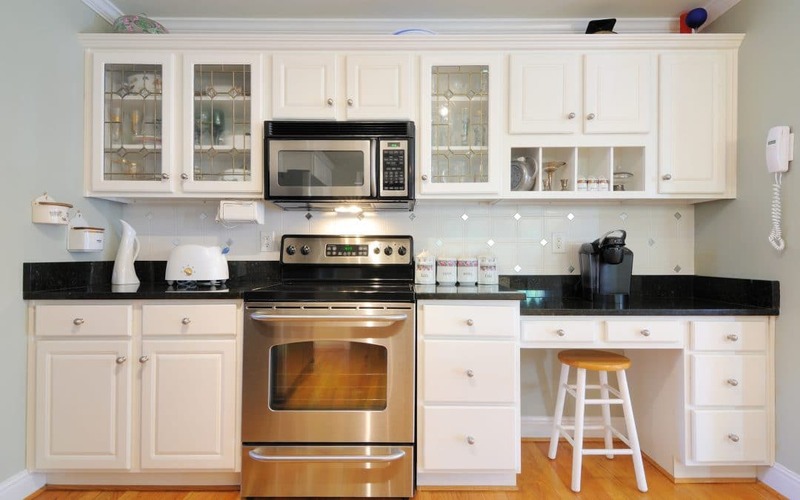 Your cabinets hold valuable items such as food, kitchen supplies, dishes, and even medicine. But have you given thought to your cabinet materials? Most don’t think twice about their cabinet materials. Since your cabinets are holding valuable goods, you need to be sure your cabinets are made of the strongest materials. It’s important your cabinets also have aesthetics and match kitchen decor — but you should also pay attention to their practicality. If you’re upgrading your cabinets, start researching quality materials. But where do you start? Read this guide and choose the best kitchen cabinet materials based on your preference. Chances are, you want your kitchen cabinets to last a long time. You want them to be strong and durable against any external blows. Especially in the kitchen; this is the area of your home your family loves, and your cabinets will sustain slamming doors and other forces. Look for sturdy materials such as red oak. These materials are powerful but flexible enough for custom-design and are available in multiple finishes. You can’t deny you love the aesthetics of a beautiful cabinet set. But take aesthetics to the next level: find kitchen cabinet materials that are customizable. This way, your fantasy kitchen can come to life. You have control over many styles and finishes to create your perfect kitchen. A perfect material for custom cabinetry is white oak. White oak is the pinnacle of custom cabinetry — so much so, it’s usually only available as a custom option. White oak features golden tones and subtle grains, perfect for any kitchen style. The price of your cabinets boils down to your preference. If you prefer custom cabinets, especially with materials such as hard maple, expect to spend more money. This ensures you’re getting the exact look you want, especially if your custom cabinetry involves staining or painting. But don’t think cheaper options sacrifice quality. Red oak is one of the most durable cabinet materials and is also one of the most inexpensive options. All kitchen owners are different. If you want to save money and avoid custom cabinetry, find a material that’s natural finish will look amazing in your kitchen. Not sure about your kitchen style preference? Discover current cabinet trends. The rustic trend is in, especially in kitchens. A perfect example of cabinet rustic materials is hickory. Hickory is a lighter wood, a pale and creamy yellow. It will match with any type of kitchen decor, but is stylish on its own. Hickory’s natural beauty pairs perfectly with rustic-inspired kitchens. Hickory is such a naturally beautiful wood, it’s rarely used in custom cabinetry. Which Kitchen Cabinet Materials Will You Choose? With a plethora of cabinet materials to choose, the options can be overwhelming. You should always be practical with your cabinets — choose a strong cabinet that will last you several years. But you also want to focus on your kitchen’s individualistic style and personality. Whether you go for style or practicality, there’s always a cabinet material for you. Do you need cabinet refinishing? Contact us if you’re in St. Louis.